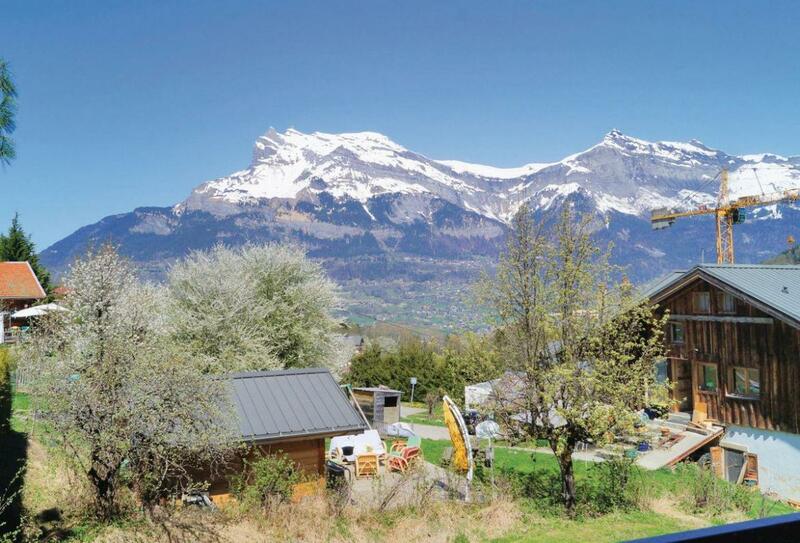 This first floor holiday apartment is situated on a complex overlooking Saint-Gervais-les-Bains. It offers two large balconies with panoramic views over the valley and the mountains. The complex offers a heated outdoor swimming pool, gym and a wellness area with sauna and Jacuzzi (open June-Sept), and a lounge with billiards. Saint-Gervais-les-Bains is a renowned spa and ski resort, also offering outdoor activities such as paragliding, tennis and hiking in the mountains. The city centre offers ice skating, indoor swimming and a climbing wall, as well as a casino and many cultural and sporting events. For direct access to Mont-Blanc, do not miss the rack tramway, with a breathtaking view over this unique panorama. There is an Alpine ski-lift 1.3km away and Nordic skiing 9km away. Shop 700m and restaurant 1km. All on first floor: Lounge/kitchen/diner, bathroom with shower over bath and basin (no toilet), separate toilet, 1 double bedroom, double sofa bed in lounge. Electric heating, internet connection, washing machine, dishwasher, microwave, balconies, shared grounds, outdoor heated swimming pool (shared, 32m², open Jun-Sep weather permitting), garage parking for 1 car. No smoking.